I love afternoon tea. There is something really lovely about the tradition of taking a break in the middle of the afternoon and allowing yourself to give in to that sinking feeling with a little pick me up. This can be made even more lovely when said pick me up isn’t just flicking on the kettle in the corner of the office and desperately hoping you have an Eat Natural bar stashed somewhere in your desk drawer. When I arranged to meet my lovely friend Jess for lunch we had the usual indecisive WhatsApp conversation trying to decide where we should go. We wanted to go somewhere we hadn’t been before, and somewhere where we could have a proper catch up without being rushed (it turns out you can’t sit for 2 hours in Wagamama with no intention of ordering more than your already demolished ramen…). 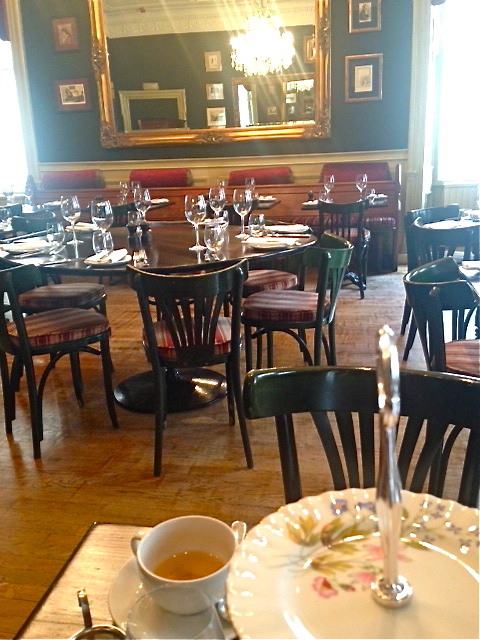 One of the things we have in common is our need for a good cup of tea, and so made the easy decision to take a leaf out of the Duchess of Bedford’s book and meet for afternoon tea. 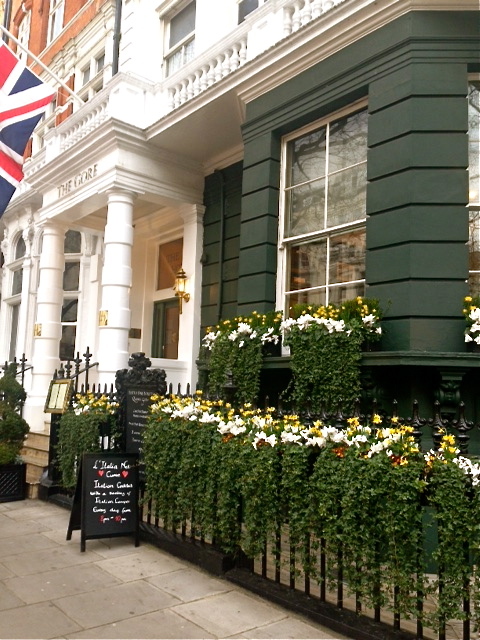 After a quick search we let the online world lead us here – Bistro One Ninety at The Gore Hotel, in the heart of beautiful Kensington. 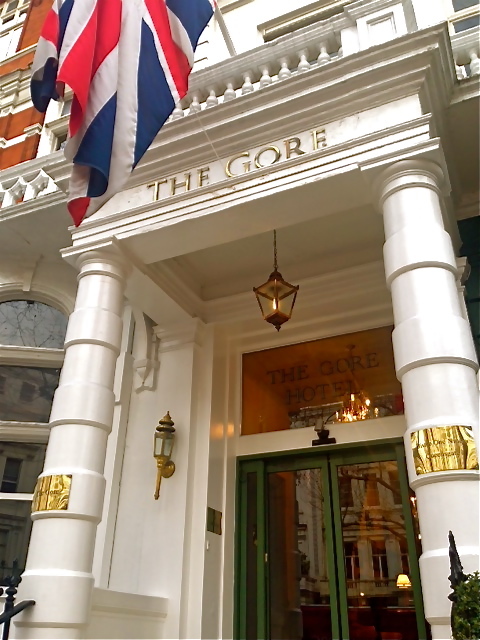 The Gore is a boutique hotel on Queens Gate, moments from West London’s cultural museum district and seconds away from the Royal Albert Hall. Now I’m not going to lie, I was drawn to The Gore because A – it looked really pretty and B – they serve a tea named after Judy Garland. If that’s not reason enough to visit I don’t know what is! We arrived a keen half an hour early and the friendly reception staff were more than happy to let us straight through to the Bistro. The room was smaller than I had imagined, but still incredibly grand. Portraits and paintings don the walls and a huge chandelier hangs in the centre of the ceiling. The dark wooden tables and paneled walls make it feel a little bit like a 1920’s members club and we both agreed we would love to experience the atmosphere of the restaurant during a busy evening. The waitress arrived with some menus and we got down to the serious business of selecting our teas. 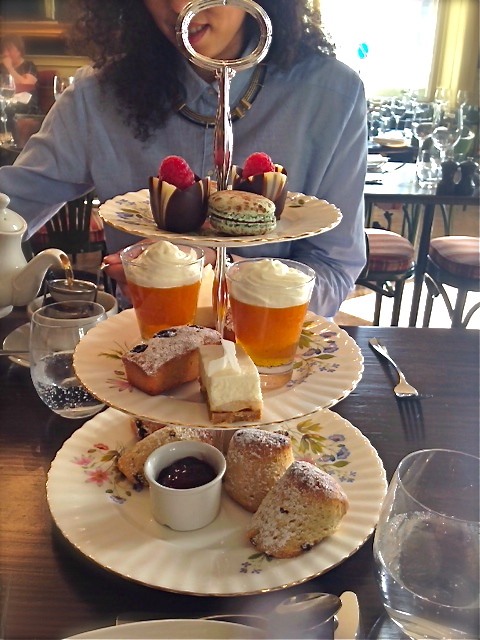 I finally opted for the Lady Blessington (Earl Grey with bergamot oil and sweet oranges) and Jess chose the Dame Nellie Melba (Japanese tea infused with peach essence and sunflower blossoms). Both teas were amazingly fragrant and the flavours worked really well together. 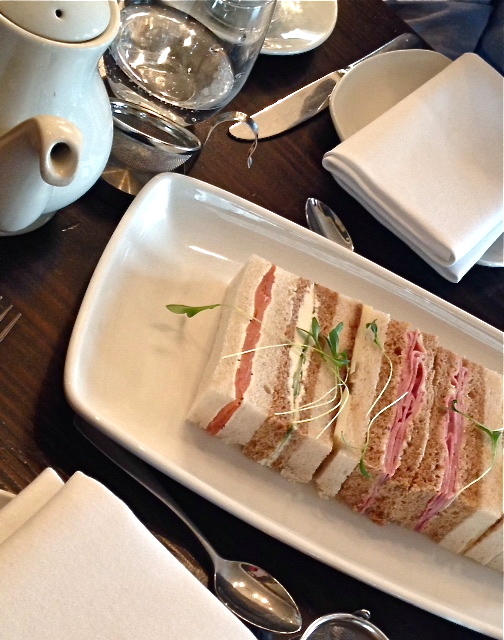 Next we were presented with a selection of finger sandwiches – smoked salmon with dill crème fraiche, cucumber and cream cheese, honey roast ham with mustard mayonnaise, and cheese and pickle. In general the sandwiches were really enjoyable. The salmon was flavoursome and the cucumber and cream cheese combination was perfectly light. My only criticism is that some of the bread was a little dry, but we still polished off the plate! 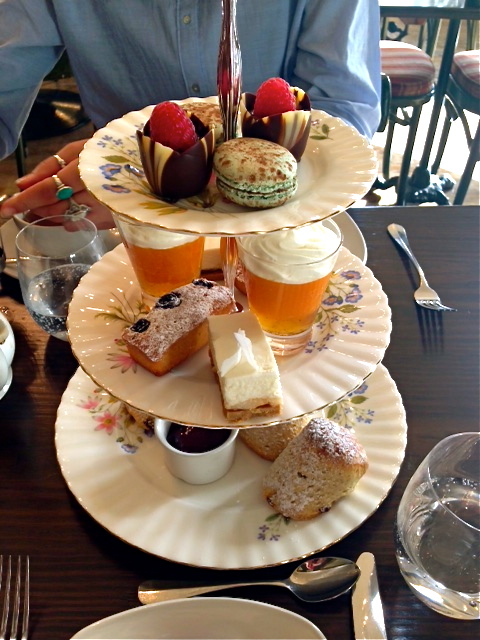 The empty plate was swiftly replaced with the towering tiers of sweet treats. The scones were delicious and I loved how they were rustically wonky. 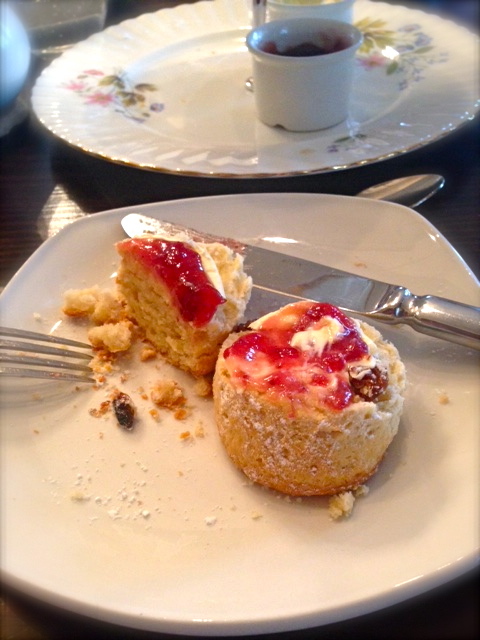 They were surprisingly light and provided the perfect platform for thick layers of Cornish clotted cream and jam. At this point the attentive waitress offered us more tea and quickly returned with fresh, steaming pots for us to enjoy before we tackled the next round. We started with the intriguing looking shot glass which turned out to be an apricot trifle. The layered textures worked really well together and the sharpness of the fruit cut through the sweetness of the cream beautifully. This was definitely one of my favourites and something I would love to try again. 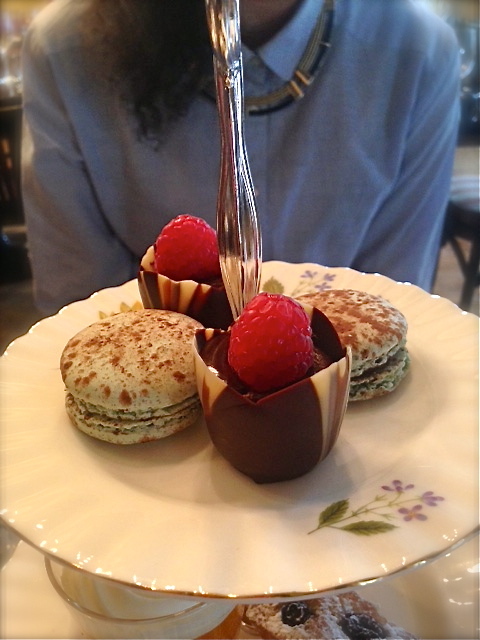 The macarons looked lovely, but they didn’t have as much flavour as I had hoped. The chocolate and raspberry mousse, however, was a total winner. Rich, dark chocolate mousse encased in a perfectly shaped little chocolate cup. 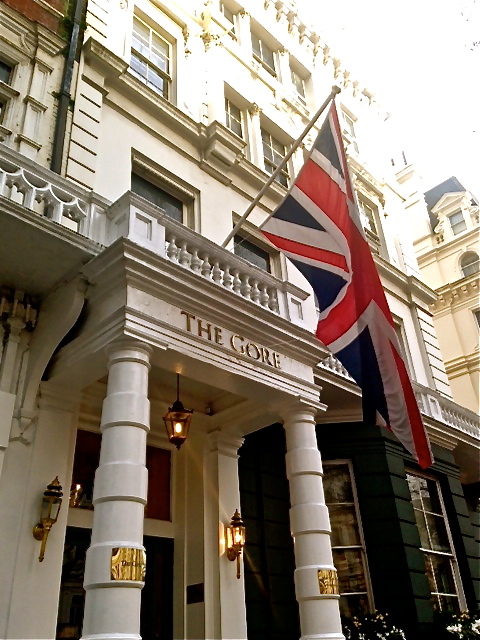 The Gore Hotel would be lovely for a special occasion and was perfect for a much needed catchup. 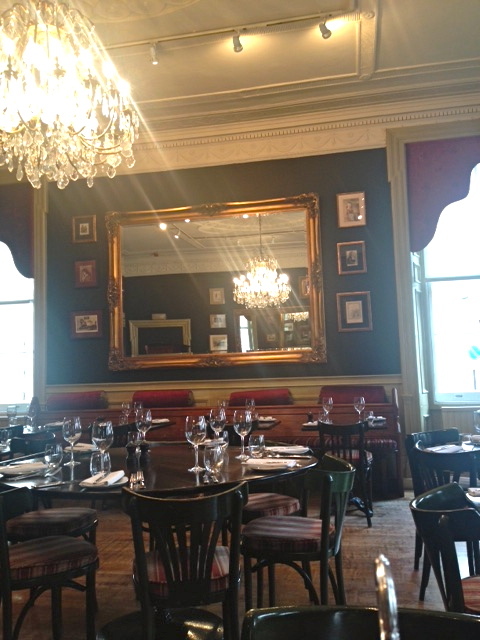 The staff were friendly, not too intrusive, and didn’t seem to mind that we sat there chatting for almost 3 hours! The interior is really beautiful and it’s clear to see why it’s been referred to as one of London’s most photographed hotels. I would happily indulge in this British tradition every week! It really was! I love your blog – your photos from The Shard are beautiful! I still haven’t managed to visit yet but it’s on my list! Hi! Do you guys have an email I could contact you on?